Bombay HC Refuses To Hear Demonetisation Petitions As SC Order Is Not "Clear"
The Bombay High Court today refused to hear the petitions filed by District Central Co-operative Banks(DCCB) from Mumbai, Nashik, Sholapur, Thane and Pune challenging the November 14 circular issued by the Reserve Bank of India. The divison bench of Justices AS Oka and Anuja Prabhudessai took this decision after there seemed to be some confusion with regard to what transpired in the Supreme Court during the hearing of the transfer petition filed by the centre. Although CJI TS Thakur declined to stay any of the proceedings in the High Court, the same was not categorically recorded in the subsequent order. Justice Oka then asked the counsels for the petitioners to get a clarification from the apex court regarding the stay on proceedings, since it was not a part of the order. He said- “You can obtain a clarification from the Supreme Court, if SC says that there is no stay then we will hear the matter. But until then it will not be proper for us to hear the matter. Meanwhile, the Union government came out with a clarification today regarding circulars issued by the Reserve Bank of India on November 8 and 9 post demonetisation. This clarification essentially means that the centre has taken a stand that there is no inconsistency between the two circulars and the November 14 circular that is under challenge before the Bombay High Court, stands as it is. This is significant as the bench had previously observed that prima facie there were inconsistencies between the two circulars issued. The primary circular that was issued notifying demonetisation of 500 and 1000 rupee notes was issued on November 8, however another circular was issued on November 14. 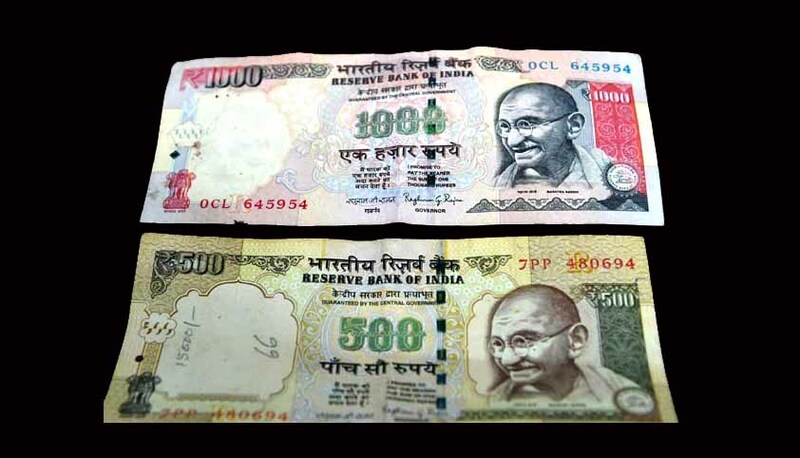 The circular prohibits district co-operative banks from allowing exchange or deposit of old 500 and 100 rupee notes. The said circular was then challenged by District Central Co-operative Banks(DCCB) from Mumbai, Nashik, Sholapur, Sangli, Thane and Pune as well. Senior Advocates Rafiq Dada, Anil Sakhre appeared for the banks while Additional Solicitor General Maninder Singh appeared for the Union. Counsels for the petitioners have argued that even though crores of rupees have been deposited in these DCCBs the same is being refused by State Bank of India which is clearing agent for these banks. Also these banks are unable to provide the interest rates guaranteed by them to their depositors. The matter will now come up for hearing on December 5, while the apex court will be hearing the transfer petitions on December 2.